The magical tale from rags to riches arrives in Newcastle at the show which usually tries to feature more dancers than any other show. How did it compare to the others in a fairly crowded market this year? This is our 10th Christmas Show of the season and we’ve still got plenty to go to as 2017 seems to be the year of the panto in the North East. The People’s Theatre have a reputation for delivering a traditional pantomime with enough audience participation to keep the little ones happy. Aladdin is no different to recent years. The Philip Meeks’ script has the usual plethora of old jokes, dodgy jokes and a few double entendres that kept Frankie Howerd on TV for years. Fortunately, the bulk of the puns are delivered by the experienced Steve Robertson who wears many flamboyant dresses as the dame Widow Twankey. His no nonsense approach worked well. The People’s panto shows how they are developing the younger talent in the region. 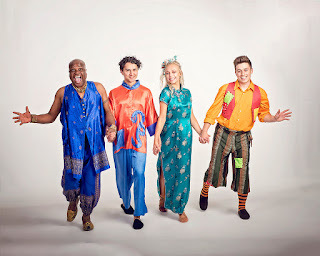 Laurence Hussain as Aladdin, Joe Robson as his brother Wishee Washee and joined by Madeline Carter as the Princess Cheryl. Their youthful energy added an extra dynamic to the show. Madeline also showed that she has a great singing voice too that could be clearly heard at the back of the auditorium. We last saw Leon Gill in a memorable performance of Sister Act and his positive charm came across again as the Genie. He is an entertaining singer and it was appropriate that he led the end of Act 1 spectacle which showed off the range of the dancers in the show. Even the PTAG tap dancers came on at one point – it could have been a scene from something like Top Hat as the stairs lit up. Which brings me on to the dancers. I had my knuckles rapped last year – and fair play… If you watch this show every year it is easy to take for granted the work that goes into producing each intricate dance routine. Each musical number involves a different large group of committed and enthusiastic dancers ranging for teens down to the very young. The large numbers of dancers can help produce the effects used in the old Fred & Ginger movies. If you watch each individual in the chorus line then you spot that they are giving it 100% attention. It was nice to see more young lads involved this year too – perhaps that’s the influence of Strictly? So congratulations go to both the dancers, choreographers & chaperones. 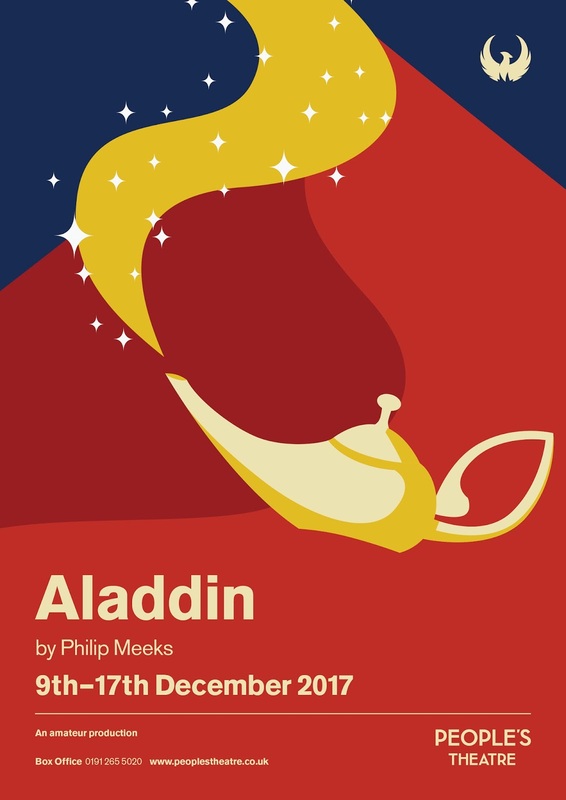 A panto needs someone to boo at and Abanazer (Have a banana?) is a great role to wind up the kids with. Paul Gaitskell appeared to enjoy breaking the fourth wall and courting the reaction of the crowd with his wicked plans. In this version of Aladdin he is not alone in the wicked states and Sara Jo Harrison was able to attract just as many boos as the scheming Empress Ezmeanie. Emma Jane Richards once again took control as director and she has a good antennae for what works in a panto. The lighting design and wardrobe were both very effective too. Is there a ‘but’? I’m afraid so. We were sat towards the back and, at times, we were struggling with the sound, particularly during the early musical numbers. This isn’t something that we’ve experienced before at the People’s and we wondered if it was simply that the speakers at the rear of the venue weren’t on in this performance? 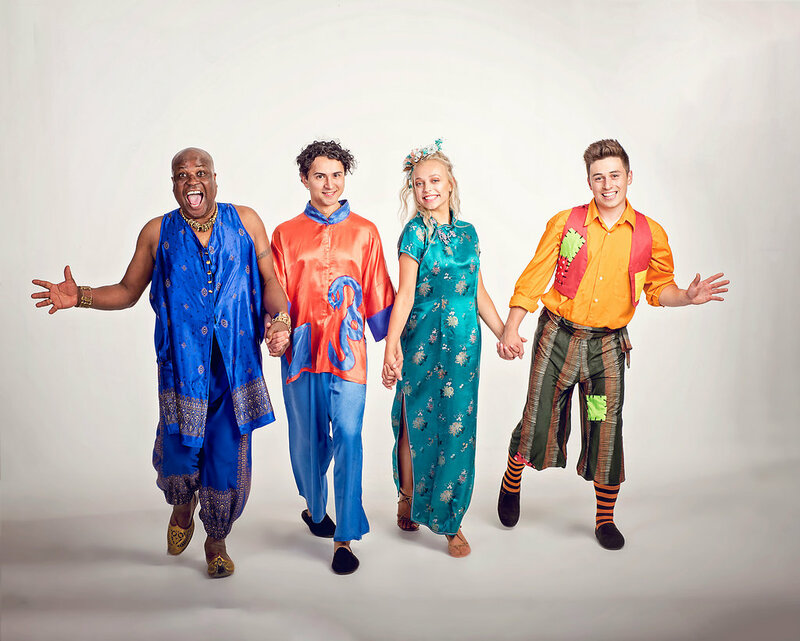 The show manages to deliver an entertaining panto, at affordable prices, using local talent. The well-oiled machine delivers a classic panto that encourages the audience to join in.